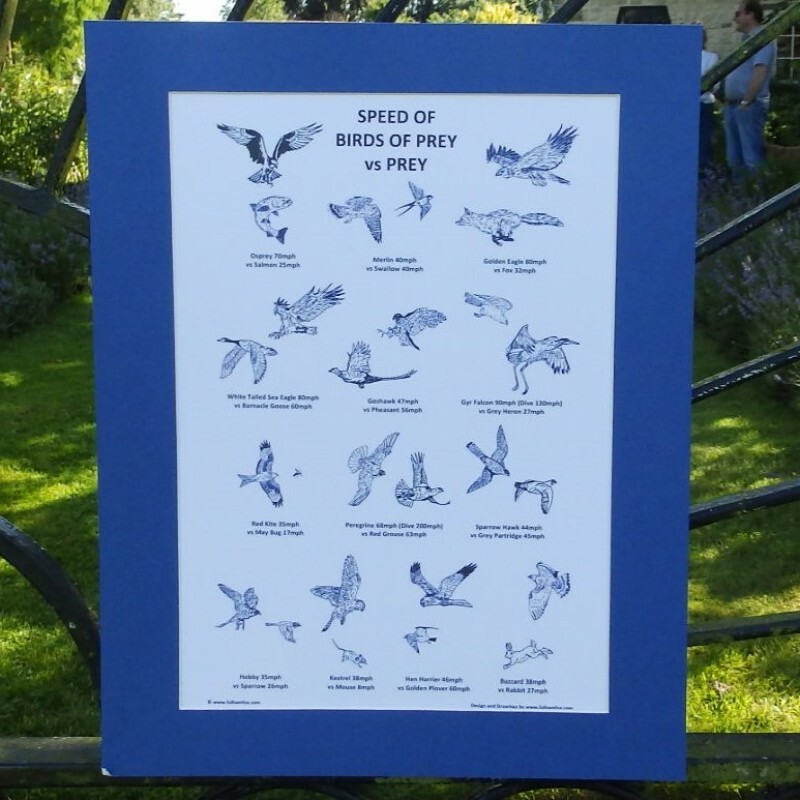 An educational print of our Bird of Prey vs Prey Speed design. 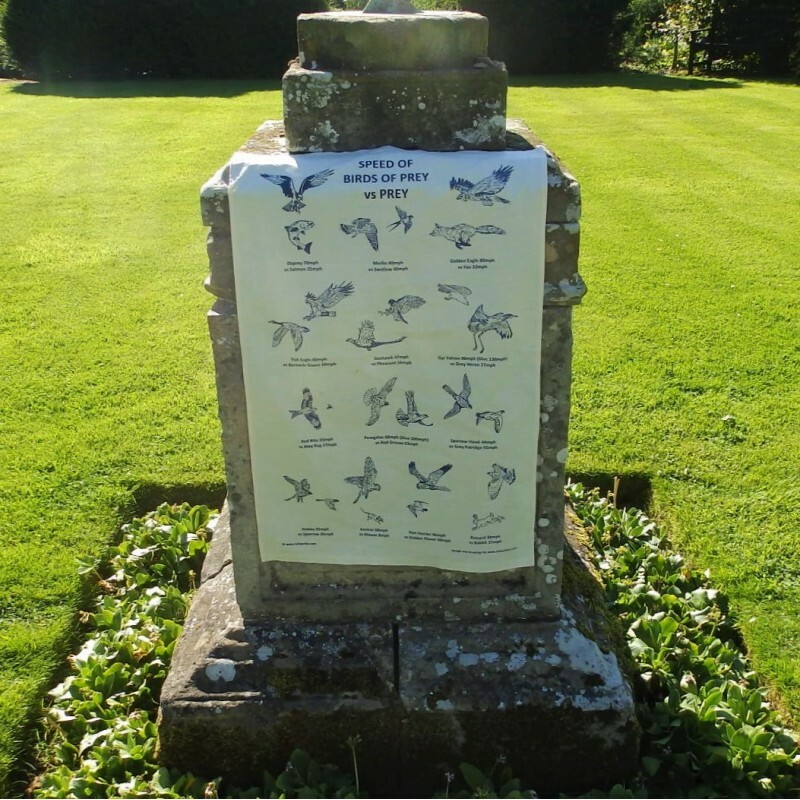 Choose from a white or colour mount. Fits into a 35.56 x 27.94cm frame. 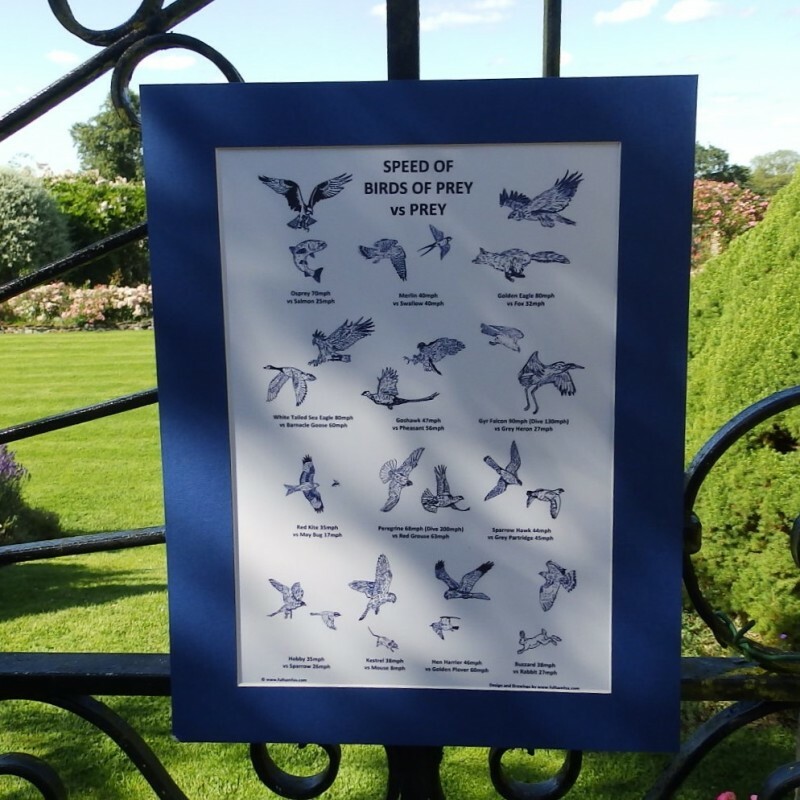 We also sell the frames in Black or White - made in the UK and have a glass front. Please specify at time of booking if you would like the frame too.